So, I ended buying some firewood right before the down poor that caused us to cancel last Saturday. I still need to burn it so who is up to a bonfire this Saturday at Fiesta Island around 4pm? Sounds good, I will not be able to bring any wood as my truck's going to be getting a new motor and a rollcage installed. Put me down as 'schedule dependent' at the current time. see you fools this saturday. Mordraine and I will be out there before 4pm. 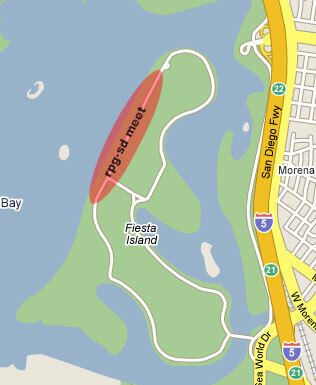 We'll try and set up on the North/West side of Fiesta Island. good seeing you all there! hope to see the rest that couldn't make it next year. thanks for the beers, brats, dolmas and good times! Thanks for everyone who showed up. I had a lot of fun.